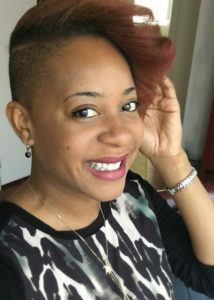 Aidah Fontenot is an experienced graphic designer and brand strategist, specializing in solutions for clients within the arts, culture, entertainment and lifestyle sectors. With an eye for balanced design, she integrates typography, color and imagery in a compelling way that is consistently perceived by the intended audience. She received a B.A. in Graphic Design from San Diego State University in 2004 and is an M.A. candidate in Arts Management at George Mason University. Studies of color theory, typography, art history and humanities influence her chic, worldly style. Dubbed a tastemaker and innovator, Aidah is often invited as a panelist/judge for professional and lifestyle organizations and has garnered international press as a visual artist, fashion designer and photographer. A dedicated mentor and creative coach, Aidah has interned over 20 college students in design, marketing, and photography. Enabling arts entrepreneurship will foster healthier and more economically thriving communities.